These types of roofs are preferred over other systems because of longer life cycles, greater installation safety in high pedestrian traffic areas, cost-effectiveness, renewability and ease of maintenance. Every roofing system has three basic components –waterproofing, reinforcement, and reflectivity. The combined performance of these components dictates reliability and longevity for any roofing system. Cool-Roof systems employ the highest performing product in each category to provide the longest lasting commercial roofing systems available. 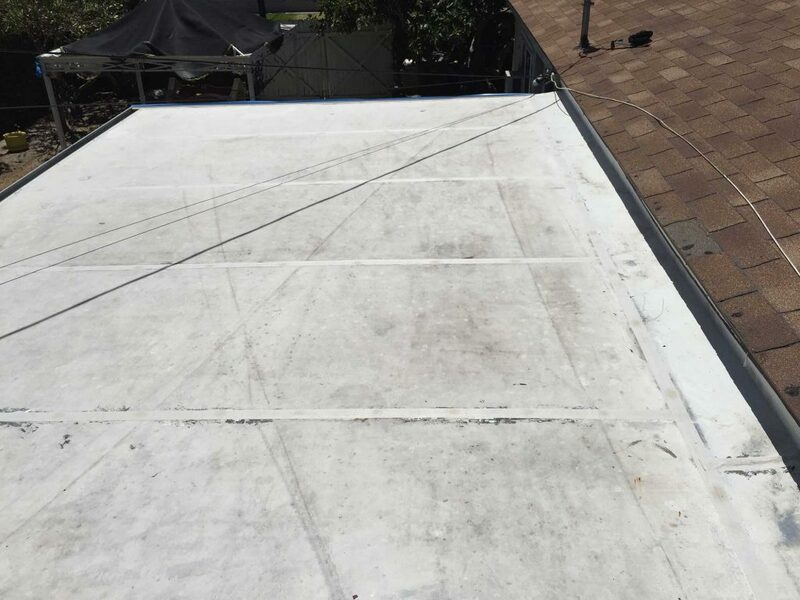 Cool-Roofs are not subjected to the extreme punishment from daily thermo-cycling that other roofing systems are exposed to. In fact, a Cool-Roof cannot heat to a temperature more than 15% higher than the ambient temperature. Cool-Roof systems could be sustained well beyond the useful life of the building, and in many cases they have. 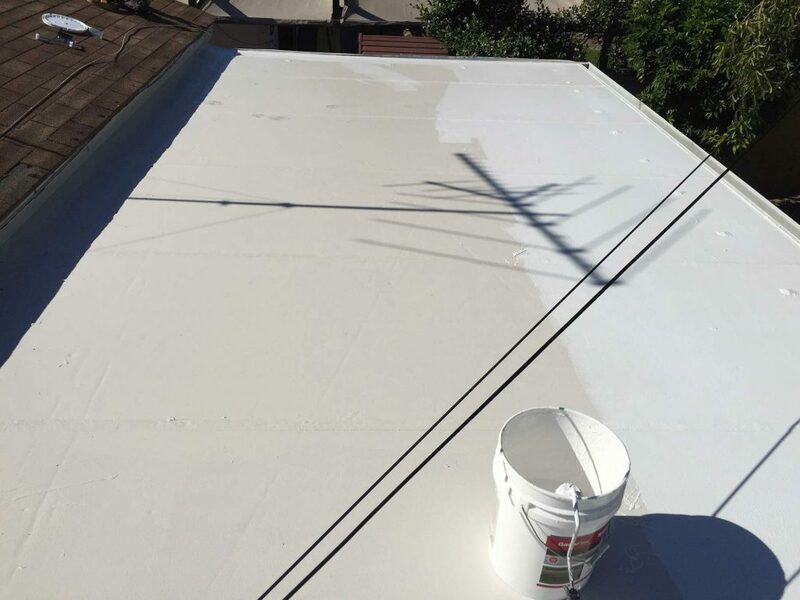 In the photo below, you see we have power washed the roof with eco-friendly detergent to get a clean surface for a proper bond. The next photo shows we have prepped all seams with an adhesive tape. 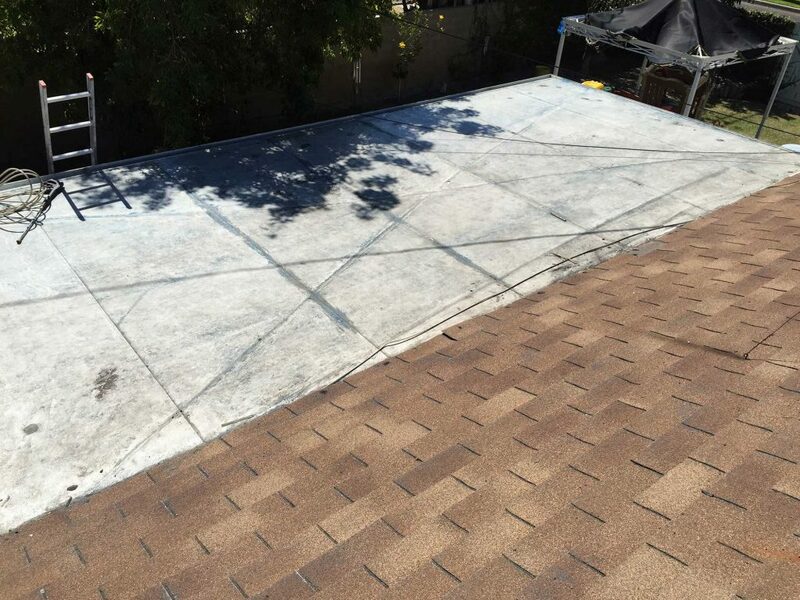 In the following photo you will see a Cool-Roof we installed. You will notice a difference in coating color, just to be sure there are two heavy coats for the final product. Let Horizon Roofing be your roofing contractor. Our team can handle any residential or commercial roofing project. Call us today!